Sgnificant change in flavours and prominence of local ingredients. Maharashtrian Recipes- What comes to your mind when you think of Maharashtrian cuisine? A burst of flavours? A plate of steaming hot vada pav or pav bhaji? We bow down to the almost inexhaustible variety of street foods that the local kitchens of this mega state offer. From misal pav to aamti to bhelpuri, each one of them is a gem. Maharashtrian food is an exciting play of desi masalas, using some of the most basic food items and is all about local cooking styles. It is interesting to see that different regions within the state cook up their own exclusive versions of a standard dish. 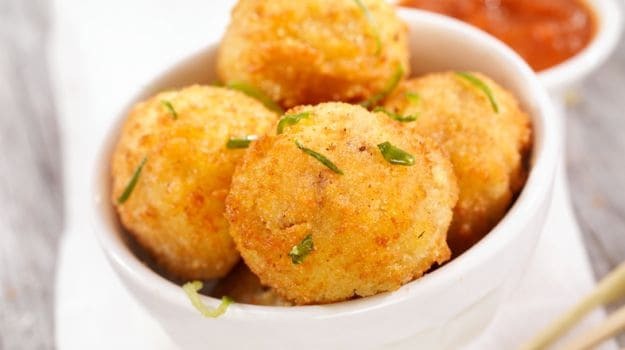 Vadas are regarded as a specialty of Mumbai as they are known to have originated there. If you happen to travel across the state, you will experience a significant change in flavours and prominence of local ingredients. The use of freshly ground masalas like malvani masala, goda masala and kala masala, is the highlight of Maharashtrian cuisine. Vegetables, lentils along with grains like wheat, rice, jowar and bajra constitute an integral part of everyday cooking. 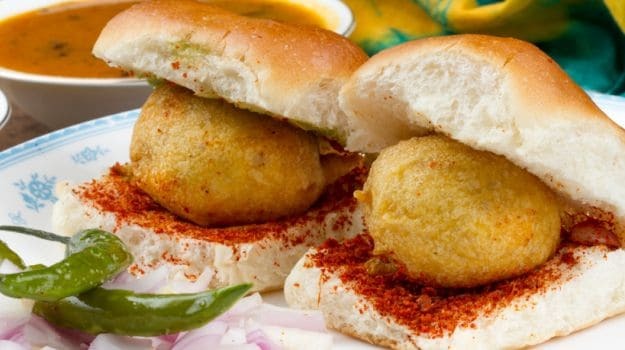 Breads are also given a lot of significance in a staple Maharashtrian diet and you have vadas, pavs, polis served in combination with bhajjis, missal, ussal or ragda. The Kolhapur region is famous for its authentic white and red mutton curries as well as its traditional green chilly chutney. The Konkan belt cooks generously with coconut milk, cashew nuts, rice and mangoes. Kokum is another ingredient that is typical to most of the Maharashtrian preparations; it is widely used in place of tamarind. Aurangabad offers you a fusion between the quintessential Maharashtrian style cooking and Mughlai flavours. Join us as we unravel some of the classics of Maharashtrian cuisine. 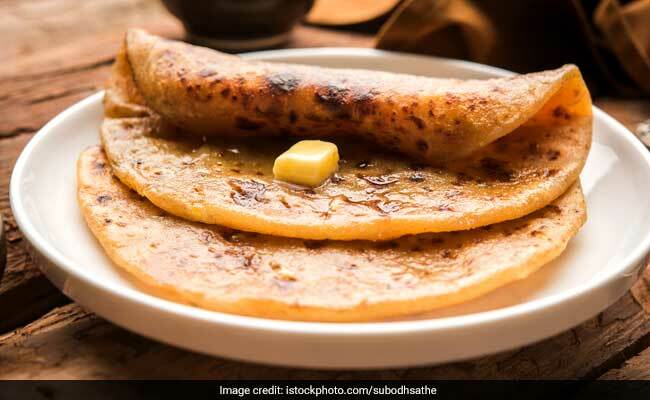 Learn the art of Maharashtrian cooking with our top 11 recipes. 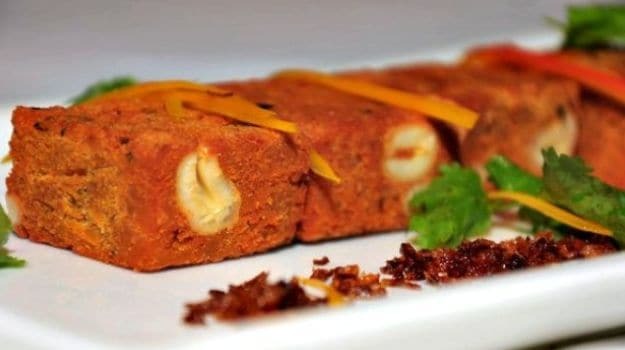 A classic Maharashtrian snack made of gram flour, spices and an addition of cashew nuts. Crispy, fried snacks to acoompany a hot cup of tea. This goes out to all the potato lovers. Batata translates into potato in English. Mashed masaledar potatoes coated in a thick besan (chickpea flour) batter and deep fried till golden. 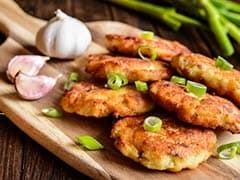 Batata vada is a street food delight tat you can easily prepare at home during the monsoon season or usually as an evening snack. Quick and easy snack to prepare when unexpected guests arrive. The traditional hit of Maharashtra, the heart-throb of India, learn to cook the classic pav bhaji in the comfort of your kitchen space. 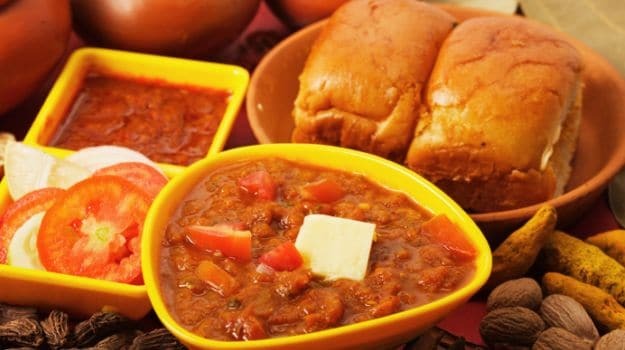 The quintessential street food, Pav bhaji is loved by kids ad adults alike. Break a sweet bread! 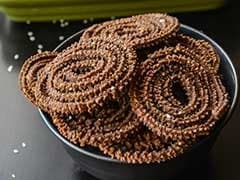 This Maharashtrian bread is a sweet delight for your taste buds. Puran Poli is specifically made during Ganesh Chaturthi and other festive occasions like Diwali, adding up to the spirit of celebration. Gram flour parcels are stuffed with a sweet mixture of dal, infused with jaggery and saffron. In Marathi language, the sweet filling is called Puran and the outer bread is the Poli. Cook up potatoes in a melange of hot masalas, team it up with bread to create a perfect, wholesome Maharashtrian meal. 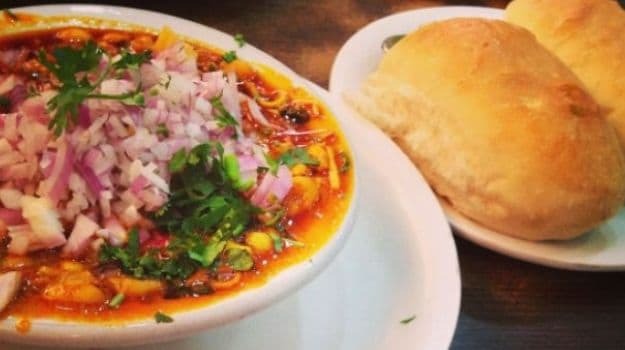 Misal pav is a meal that can be had at any time of the day. Topped with onion, coriander leaves and tangy lime, misal pav is irresistibly mouth-watering! A spice Maharashtrian curry straight from the city of Kolhapur, Fresh vegetables are cooked in yogurt, ginger-garlic paste, hot spices and lemon juice. 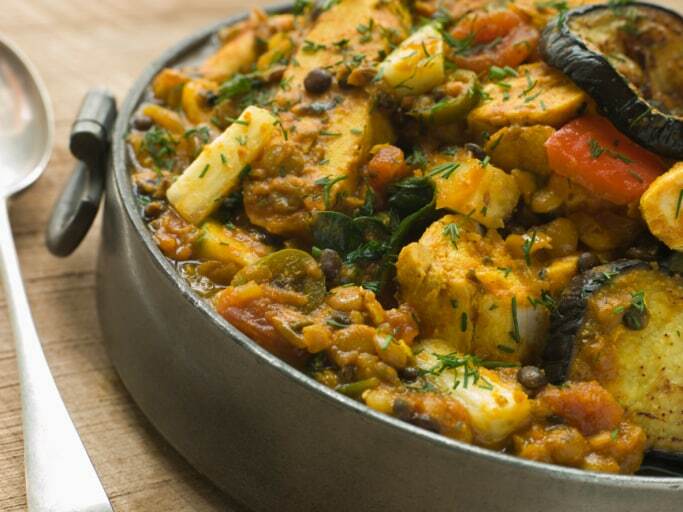 An eclectic mix of vegetables with dessicated coconut and is traditionally known to be spicy. Cook your traditional dal the Maharashtrian way. Yellow gram dal or tuar dal is cooked with spices, curry leaves and an additional dose of special Maharashtrian goda masala. 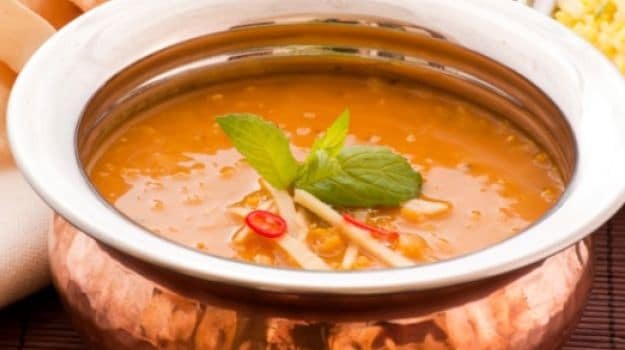 Light, healthy and ansolutely delicious dal recipe. 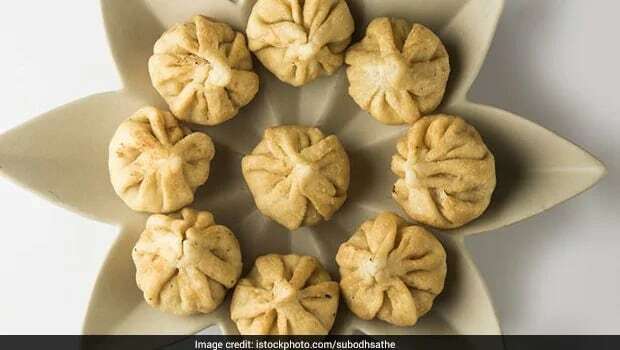 A popular dessert from Maharashtra which is consumed highly during the festival of Ganesh Chaturthi, Modaks are now made in many parts of the country as well. Sweet flour dumplings stuffed with coconut, jaggery, nutmeg and saffron. The rich flavours of nuts and saffron appeals to the taste buds. Cook these absolutely delicious Maharashtrian dishes at home and experience the cuisine in all its glory!